Thanks to the outstanding quality of its products and system solutions made from steel and other metals, the voestalpine Group is counted among the leading partners of the European automobile and household appliance industry and a world leader in the aerospace, oil and gas industries. This meant that 39 feeders for blast furnace burdening delivered by IFE to voestalpine were checked. Some of the feeders have been in use since the 1970s and are at around 250,000 operating hours. They are used for the removal of ore, coke, sinter and various additives from day and weighing hoppers. In general, feeders are not the main focus of a plant. However, if they are not properly designed, they can have a negative impact on both system throughput as well as product Quality.2) That is why IFE vibrating feeders are always designed and fabricated with the specific application in mind. A wide variety of design options are available, based on customer requirements. In the case mentioned above, wear protection made from ceramics or connected armor plates are being used. Thanks to the robust design, maintenance costs are very low, ensuring a very high level of operational security. Furthermore, the drive and feeder of the magnet conveyors are fabricated in-house, which guarantees excellent availability of replacement parts. 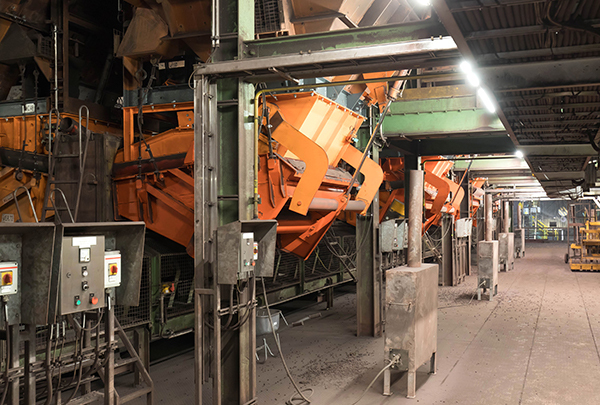 Two IFE TRISOMAT flip-flop screens, which each sieve approximately 1200 t of ore per day at 6 mm in normal operation, were also impacted by the service. 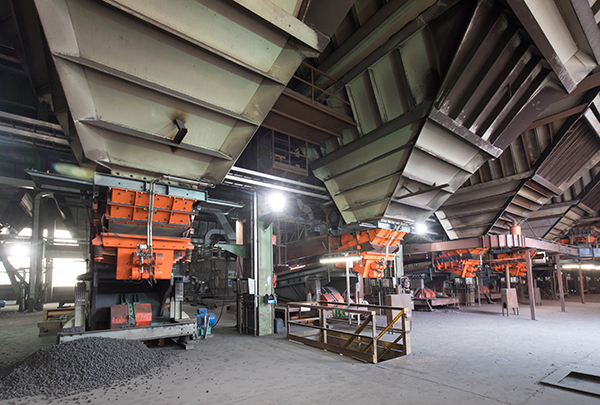 The ore, which available in the required quantity at this point, is placed onto the burden belt going toward the blast furnace, while the non-usable fines are directed elsewhere and processed for another purpose. Screens in this series are an optimal solution for extremely difficult screening materials, for example wet or dusty iron ore. Wherever there are deposits that clog or jam conventional screening machines, these screens provide outstanding results at high feed rates, even with small mesh openings. Screen crossbeams are fitted onto two moving frames. Flexible screen panels fitted onto these panels are mechanically tightened and loosened in alternating fashion. Maximum acceleration forces prevent the screen lining from becoming blocked up or sticking, resulting in the material being intensively blended. The “self-cleaning effect” achieved this way enables high availability, since stoppages for cleaning are reduced to a minimum. voestalpine, which invests exclusively in technologies that are reliable and of the highest quality – from the vehicle fleet used for material transport to the machines used for processing – greatly values its partnership with IFE Aufbereitungstechnik GmbH, which has been going strong for nearly 40 years. 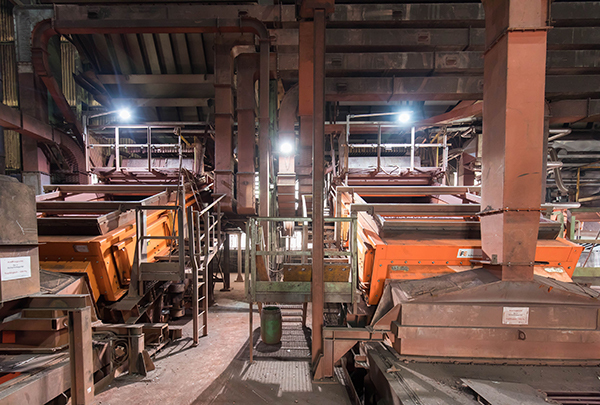 Download the article "IFE feeders and screens for blast furnace burdening" here!